The Junior Grand Prix Series has returned to the United States for the first time since 2009 and it does so to the city it left. Lake Placid, NY will host competition today beginning at 3:30 p.m.
Icenetwork.com will provide both live and on-demand coverage of 2012 JGP United States. The video coverage will be available to Season Pass subscribers, while recaps, photos, blogs and results will be available to the general public for free. 3:30 p.m. – Men’s short program – Joshua Farris, 4:09 p.m., James Schetelich, 4:35 p.m.
7:15 p.m. – Pairs short program – Aaron & Settlage, 7:47 p.m., Denney & Frazier, 8:35 p.m., Pfund & Reiss, 8:48 p.m., Oltmanns & Santillan, 9:20 p.m.
11:15 a.m. – Short dance – Pogrebinsky & Gudis, 11:27 a.m., Aldridge & Eaton, 11:59 a.m., Heritage & Fast, 12:46 p.m.
2:00 p.m. – Ladies short program – Angela Wang, 2:13 p.m., Courtney Hicks, 4:25 p.m., Kiri Baga, 5:32 p.m.
Joshua Farris, the 2012 World Junior silver medalist, returns to Lake Placid, the site of his first Junior Grand Prix event. 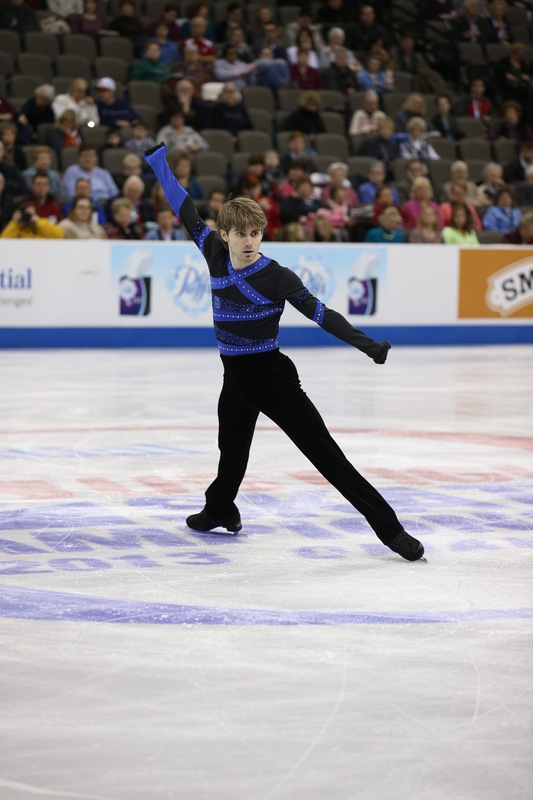 Farris, then 14 in 2009, finished in fourth in the competition, but has reached the podium five times on the circuit since, including a bronze at the JGP Final last year. “It’s always great to be in Lake Placid, it’s very inspiring and the whole atmosphere here just makes you want to compete,” Farris said. Farris has competed as a senior at the U.S. Championships each of the last two years, finishing in 21st and 16th respectively, but his goals this year are simple. Farris, who trains and lives in Colorado Springs, Colo. makes the trek to the east coast for this competition, but he is happy to be competing in an international event in his own country. Farris will be the first American to hit the famed ice in Lake Placid, as he performs his short program at 4:09 p.m. on Thursday.